Being upfront with various issues, stresses, and life’s frenzies, we always strive to find solace in everything. But no one can ever go wrong in finding inner peace with nature. 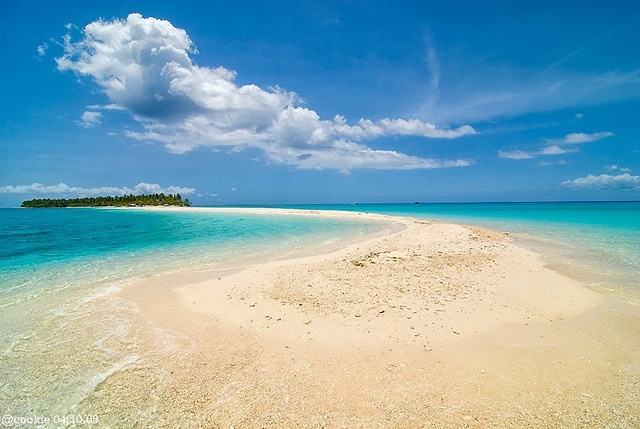 The Philippines will surely take you abuzz with top beach destinations to choose from. However, not all will promise you a kind of tranquility you look for an island due to immense popularity and development. To help you out seek an abode for relaxation, we listed down 6 of the Best Unspoiled Beaches in the Philippines that are perfect for communion with nature and finding serenity. These beautiful virgin islands are found in the beautiful province of Leyte. Leyte is a province found in the Eastern Visayas region of the Philippines. Its capital is Tacloban City known as the Gateway of Eastern Visayas. Hence, making the province a center of development and a door to the wonders of the Eastern Visayas region. It boasts a large number of historical landmarks, awe-inspiring attractions, natural and man-made landscapes and beach destinations. In this travel guide, we listed 6 of the stunning unspoiled beaches plus a secret river in Leyte waiting for you to be discovered. If you want to experience serenity and nature, Pong Dako will surely fill your expectations. 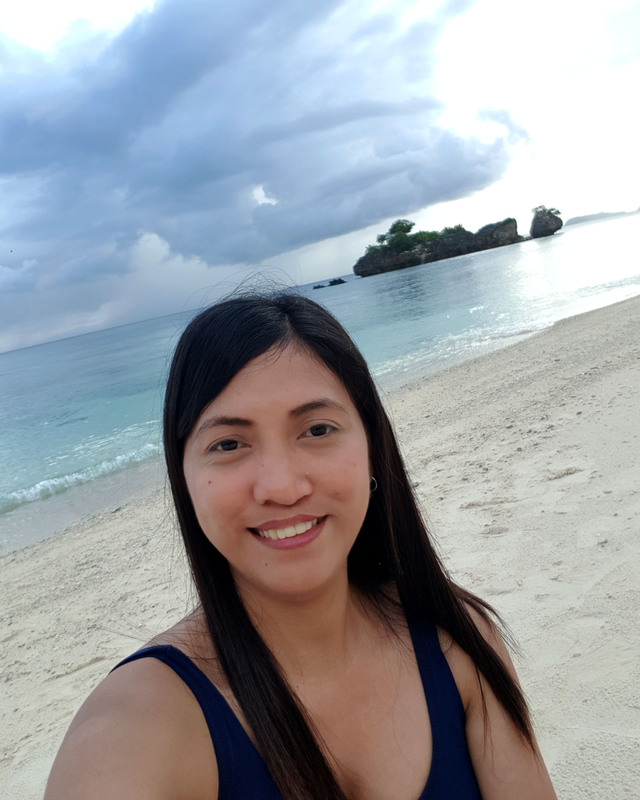 Pong Dako (Big Island or San Pedro Island) in Hinunangan, Southern Leyte is half of the twin islands that boasts a great marine biodiversity and crystal-clear water that is still considered unspoiled from any commercialization. The island has no electricity and the locals have a very simple laid-back life – no gadgets, tv or Wi-Fi! Experience how people survive without these kinds of stuff but still live a happy and contented life. Try camping, trekking, snorkeling, and diving while on the island. Its underwater has a great abundance of marine life ranging from corals, numerous types of fishes, and even small sharks. 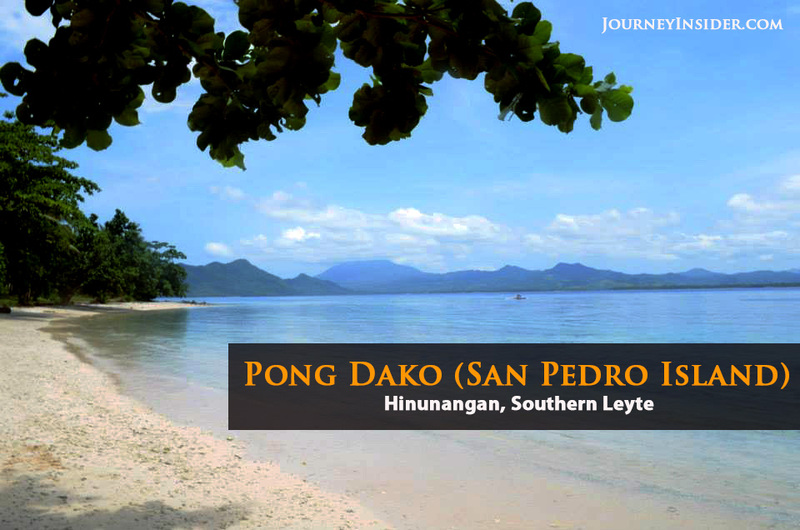 Pong Gamay or San Pablo Island is the adjacent island of Poong Dako. Just like its twin island, Pong Gamay also takes pride its crystal-clear and calm water and a relaxing island life. It will surely soothe your soul and take away all your stresses. Swim, camp-out and take a plunge to one of the island’s attractions, a 12-meter deep lagoon called Lelang Lagoon. Still untouched from any urban development, Silago Beach is one of the perfect getaways in Southern Leyte for an unspoiled tourist destination. Although the sand is not powdery white compared to other beach destination listed here, however, the area will still make you forget the life in the metro. Plus, it also promises a very rich marine biodiversity and aquamarine products. 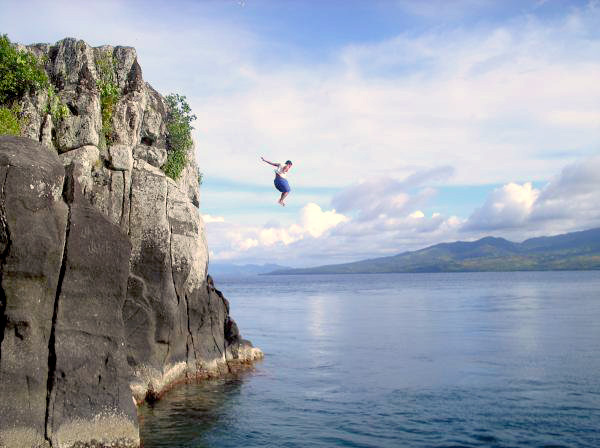 While in the area, do not forget to have an adrenaline-fueled experience to its main attraction, the Pilada Rock. Brave heights and jump off from the top of the rock formation. 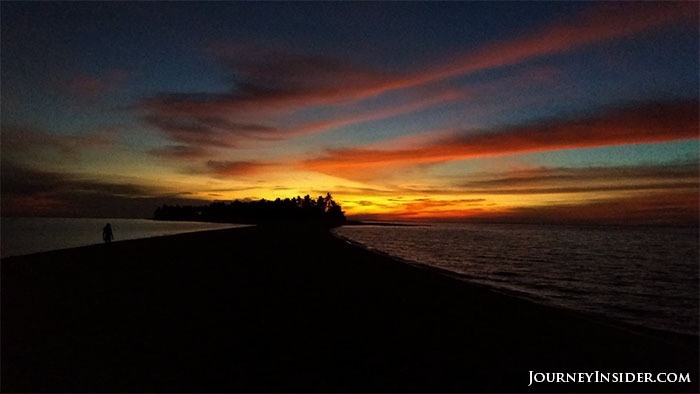 Found in the municipality of Palompon in Leyte, a sleeping island known as Kalanggaman, will surely awaken one’s soul. With no resort in the area, the island has a definite pristine charm of its own that will surely fascinate every traveler. It has a long stretch of white powdery sand that will definitely leave you in awe, calm beach, and a secure surrounding. Activities enjoyed while on the island are camping, swimming, snorkeling, kayaking, among others. 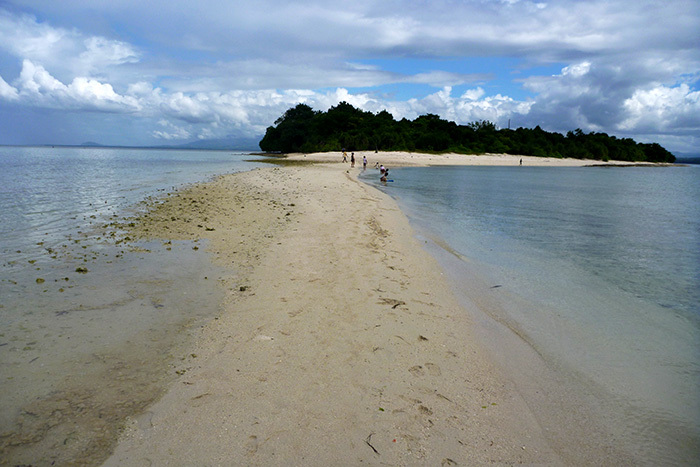 A white beach in Leyte! Yes, you read it right! 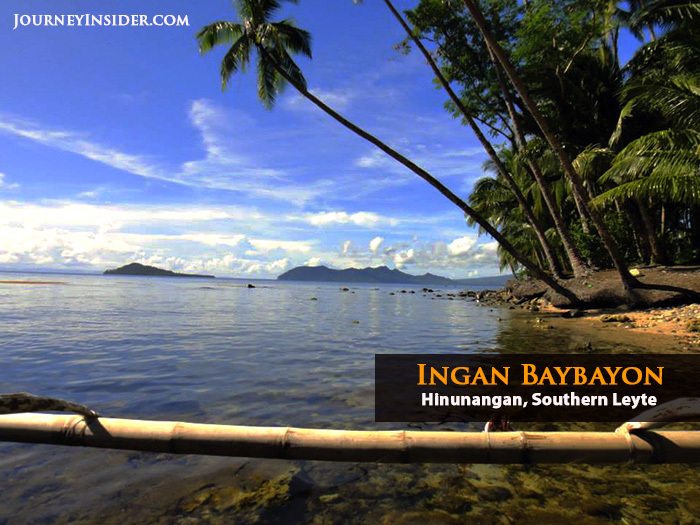 Found in the sleepy town of Matalom in Leyte is a small islet surrounded by white sand, the Canigao Island. The small island has breathtaking beauty and pristine atmosphere that will surely reinvigorate your senses. Take a plunge in the island clear water, camp out with your friends and family or just simply enjoy solidarity in the island. 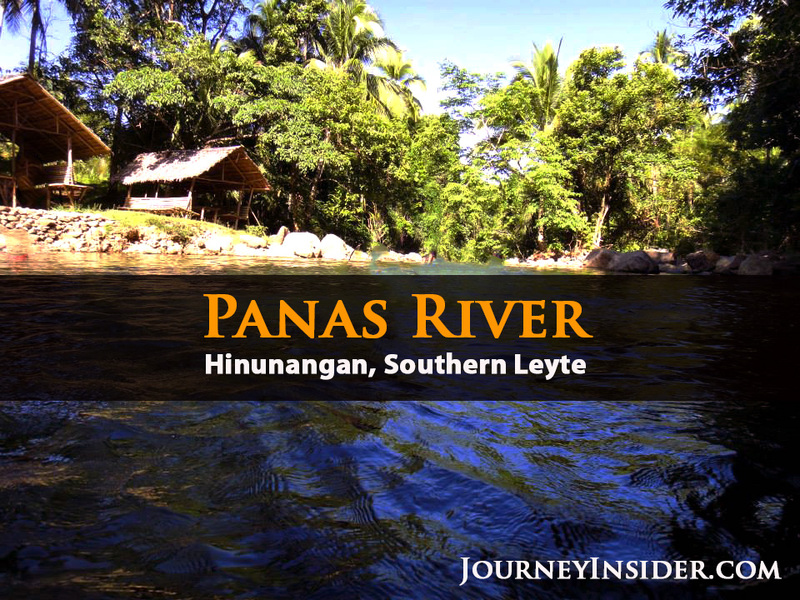 Panas River is one of the most serene natural streams of water found in Barangay Ingan, Hinunganan, Southern Leyte. The river is kept hidden in the center of green lush plants and trees and surrounded by stones which make it more relaxing. The ambiance of the place will make you forget about the life downtown. Enjoy trekking to the area and relax on the river’s shore by having a chitchat with your companions, if you have any, or take a moment of reflection with nature. 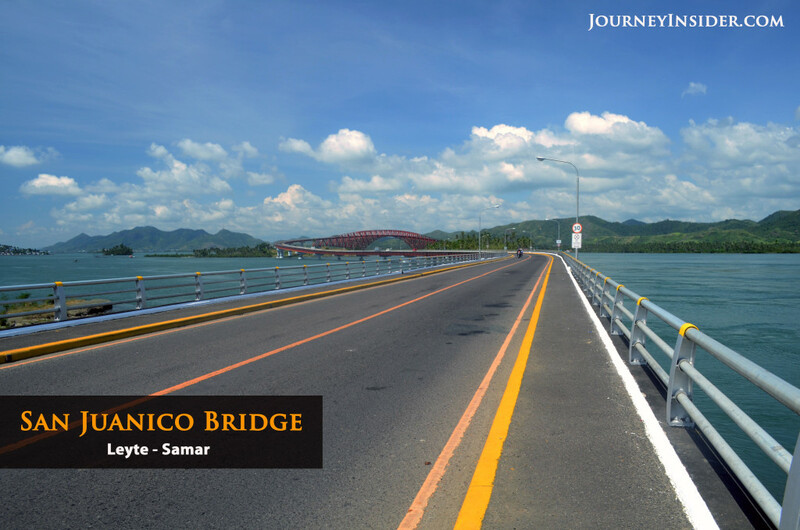 San Juanico Bridge is the longest bridge in the Philippines which spans about 2.2 kilometers in length and connects the provinces of Leyte and Samar. It is being called the Bridge of Love for it was built during the administration of the late Philippine President Ferdinand Marcos as a present to his wife, Imelda Marcos, the Rose of Tacloban. Tacloban is the capital of Leyte. Join a number of people who are taking a leisure walk and run on the stretch and enjoy some selfie moments with an awesome of the island. 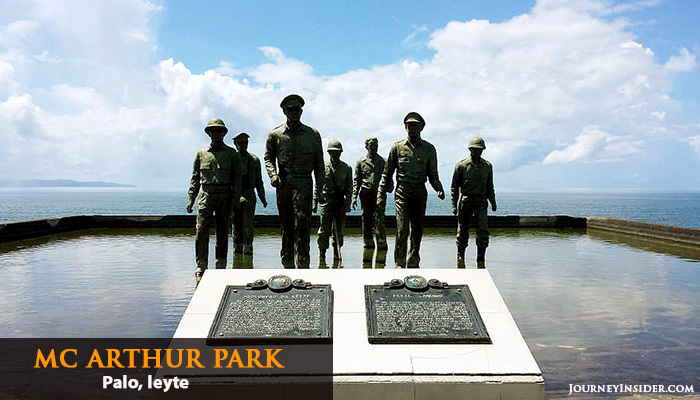 Reminisce a historic past of the Philippine liberation from the Japanese occupation by visiting the place where General Douglas Mac Arthur fulfilled its promise of “I shall return” in the Philippines. A museum is also found in the area where the park is found which accommodate memorabilia from the General and other historical items. Visit the Palo Cathedral or Metropolitan Cathedral of Our Lord’s Transfiguration. Palo Cathedral is one of the five churches visited by the pope in the Philippines. 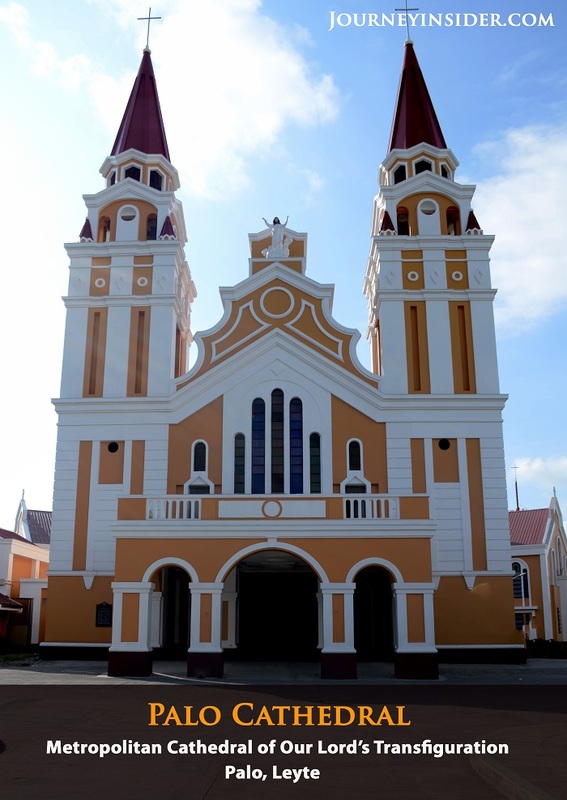 Palo Cathedral was greatly devastated by Typhoon Haiyan last 2013. 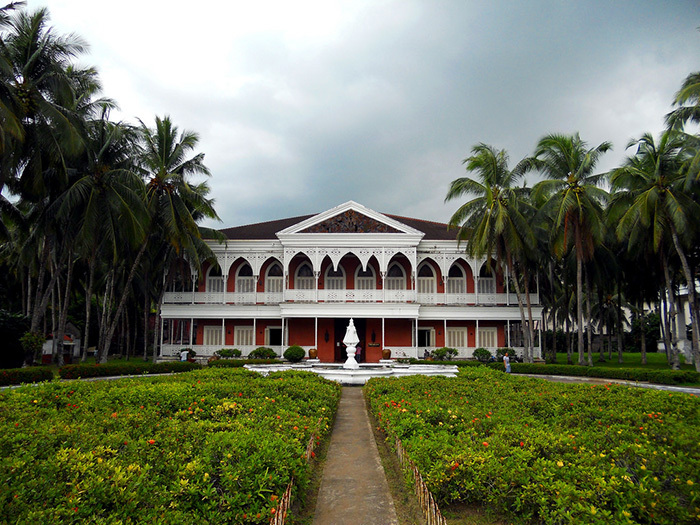 Santo Nino Shrine and Heritage Museum houses the Patron Saint of Tacloban, the Senior Santo Nino. Offer thanksgiving for a safe trip and prayers in the miraculous image. The Shrine was built by the late Philippine President Ferdinand Marcos for his wife Imelda Marcos. It also houses religious relics, artifacts, and antique collections. Experienced being 292 feet above the ground with a breathtaking panoramic view of Southern Leyte, Agas-Agas Bridge. 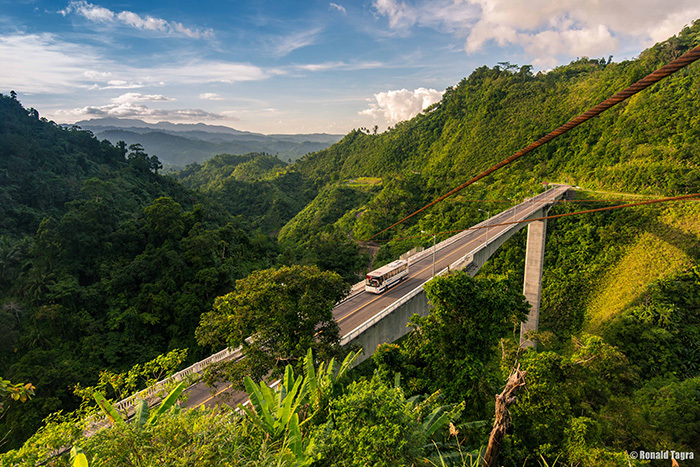 It is considered the highest bridge in the Philippines and was constructed to address the reoccurring landslide problem in the area. Don’t forget to experience one of the tallest zip lines in the country while enjoying the awesome view. 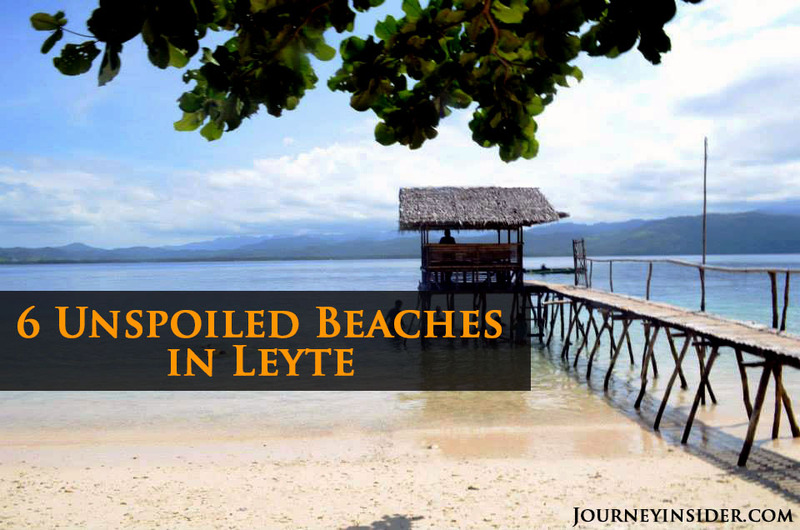 Do you know any breathtaking place in Leyte that are left to be discovered and want it to be included in the list? 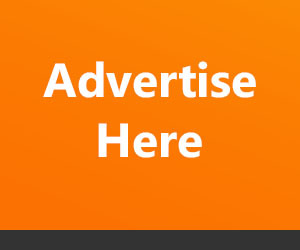 Share it with us and we’ll feature it on our blog! 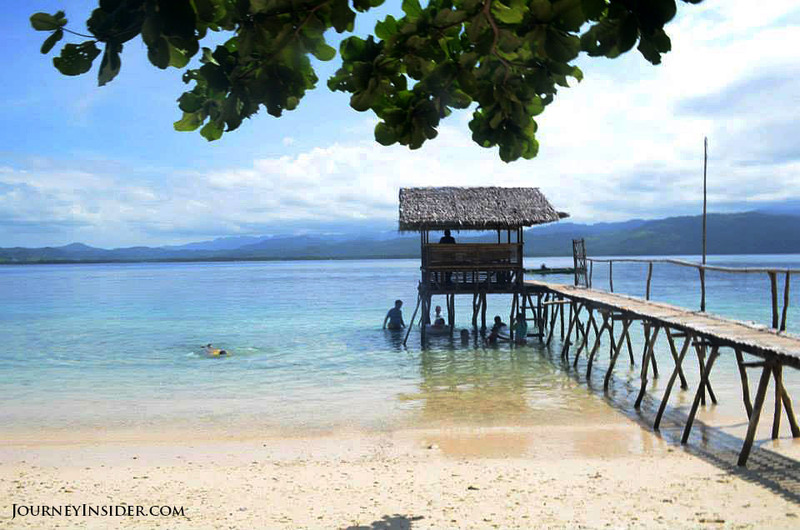 This entry was posted in Beach and Island Hopping, Featured Posts, Travel Guide to Leyte. Bookmark the permalink.